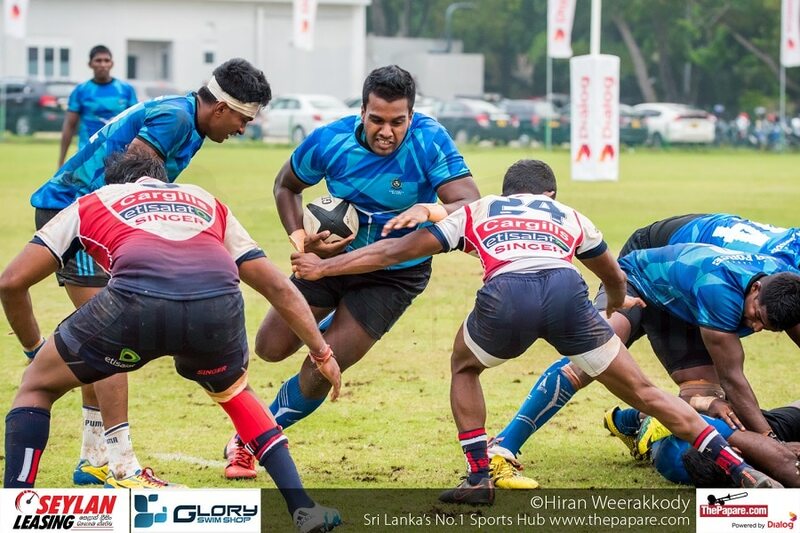 The Sri Lanka Air Force SC threw open the Dialog Rugby league putting on one of the greatest performances in the history of the league beating the star-studded champions Kandy SC in a tense encounter today. Kandy came to Colombo to continue their winning streak but the Airmen responded with a superb game as they went into half time leading and continued their merry way in the 2nd half to win 24-21. 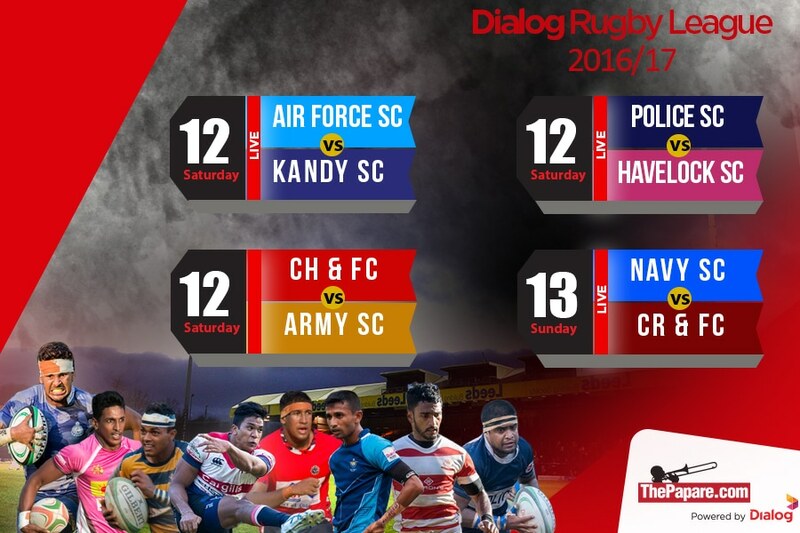 Air Force SC welcomed the league champions Kandy SC for the second week game of the Dialog Club Rugby League 2016/17 at Ratmalana today (12th November).Charith Senevirathne kicked off the game for Airmen and from the start both teams made their intentions clear with a fast open brand of rugby. Kandy had more possession in the opening exchanges of the match but their handling skills cost them territory and possession. Air Force were dominant in set pieces and counter rucking and Kandy looked to score before the half time whistle but the boys from Ratmalana ensured that they got to half time with a lead.